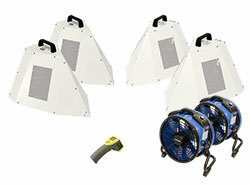 Quickly treat an entire room with a Tri-Flo bed bug heat treatment kit! This is a safe, effective, reliable treatment method for hotel rooms, bedrooms, and more. 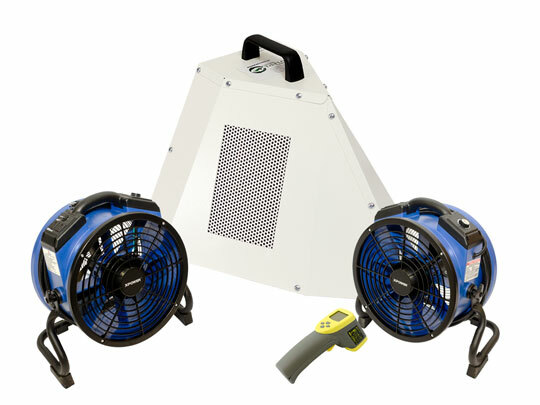 The ETL-certified heaters are easy to set up, safe to use, and work with existing electrical equipment. Returns on the Tri-Flo Bed Bug Heat Treatment Kit are not accepted even if unused due to possible bed bug exposure. 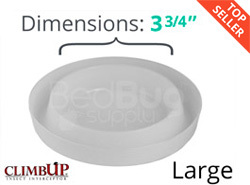 Heat treatments have proven to be very effective at killing bed bugs quickly and thoroughly. Exposure to heat above 120 degrees Fahrenheit will kill bed bugs of all life stages within just an hour. However, bed bug heat treatments are difficult to set up and execute. They traditionally have been done with forced-air kerosene or propane heaters, which carry risk of excessive heat or carbon monoxide exposure. 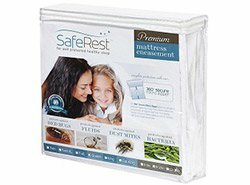 Fortunately, the new Tri-Flo bed bug heat treatment kits are here to help. These are ETL-certified, UL-recognized heater designs that can safely heat up a room with minimal setup and no additional electric equipment than what is already available on site. Tri-Flo's packages are much simpler from the start than the heating gear that pest pros are used to. Electric heat setups usually require at least a 3-phase, 20kW diesel generator. Those weigh almost 800 pounds and need to be towed to the job site. 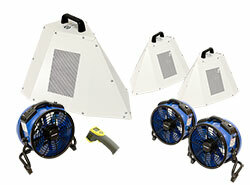 The 2- to 6-piece Tri-Flo kits are much simpler and more cost-effective in comparison. 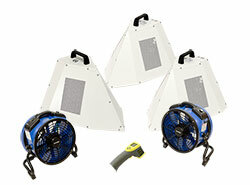 The kits include durable, stamped metal-body heater units and a powerful circulation fan. The Tri-Flo packages are here to change that. These are simple, effective, and safe alternatives to the gas motor heaters in the field today. One plug per heater, and you're in business; no generators, no fuel, and no extra power equipment. For the first time, hotel managers, property managers, and pest control operators have access to a truly safe and cost-effective heat treatment package. Heat treatments are a safe and effective alternative to spraying your belongings with chemicals. 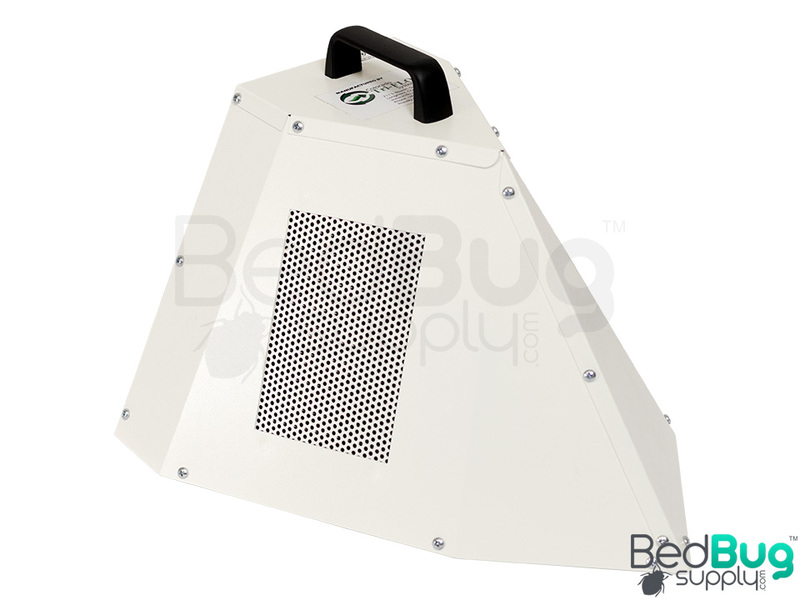 A bed bug heater can treat a space quickly and thoroughly by safely heating insulated items to a lethal temperature. This saves time spent checking each and every item, and saves money that may otherwise be spent replacing infested items that are thrown out. The Tri-Flo 325 Starter is a new, safer and simpler design for heat treatments. It's portable, durable, ETL-certified, and made in the USA. Included is everything you need to effectively treat a hotel room or bedroom of up to 325 square feet with just one 220-volt, 30-amp plug per heater unit and one 15-amp plug for the circulation fan. This is especially attractive to hotel managers and owners, since rooms can be treated more quickly and put back in service sooner. Ideal for rooms up to 325 square feet. Determine the number and type(s) of power sources available to the area. At a minimum, you will need access to either 3 independent 110-volt, 20 amp circuits, or 1 220-volt, 30 amp circuit. For rooms over 325 square feet, you will ideally have access to both 110-volt and 220-volt circuits. Use extension cords to reach circuits adjacent to the room itself, if needed. There are two packages available, designed for rooms up to 325 square feet. The 110 Starter includes three 110-volt, 1800 watt heaters, while the 220 Starter includes a single 220-volt, 5000 watt heater. The 220 Starter is easier to use and more affordable, but requires access to a more powerful circuit. If that is not possible, the 110 Starter is a suitable alternative. The Tri-Flo 500 Combo package combines a 5000-watt heater with two 1800-watt heaters. This is a much more potent solution intended for larger spaces, and will require access to both 110-volt and 220-volt power sources on independent circuits. Pre-heat the room by setting the thermostat to the highest setting available, ideally 90 degrees or more. Place your Eradi-Flo heaters around the bed and other key treatment areas so that they heat up first. Note: Keep heaters away from curtains, bed skirts, and other fabric or flammable material. Turn the Eradi-Flo heaters on the high setting and monitor location temperatures until the room reaches a temperature of roughly 106 degrees. Once the room temperature has reached approximately 106 degrees, place the included fan in the room to provide heat circulation. 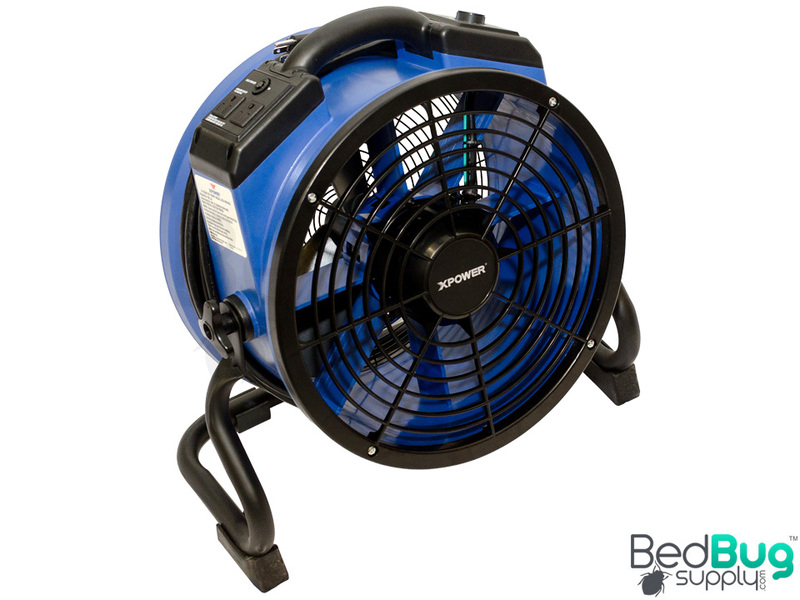 Point the fan at the most heavily infested areas and turn it on the high setting. 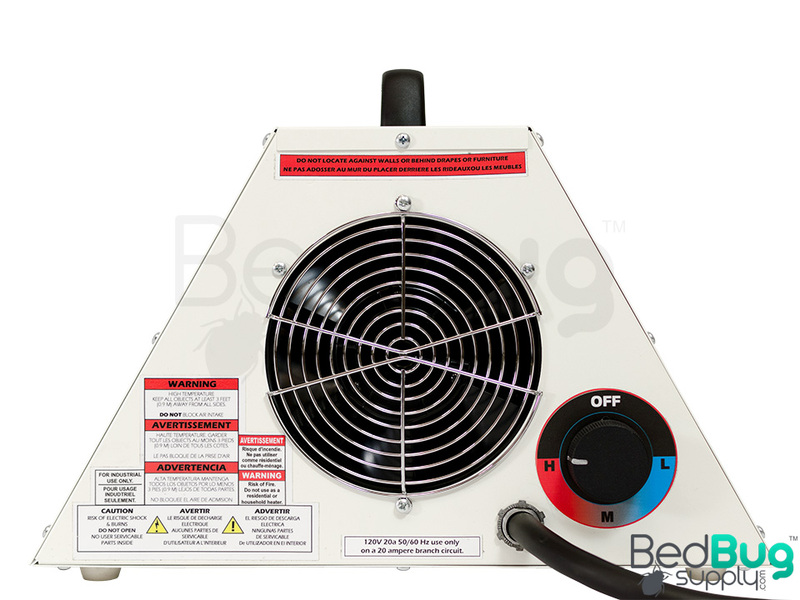 Monitor location temperatures until the room has maintained a temperature of around 135 degrees for 2 to 4 hours, depending on the level of infestation. This temperature will be uncomfortable to stay present in, so check in every 30 minutes or so with the included laser thermometer. 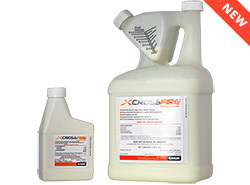 After you've successfully performed a heat treatment, we recommend following up with a residual spray such as CrossFire and apply bed bug mattress covers and ClimbUp insect interceptors to each bed for long-term protection. Q: If you use the heat treatment kit to treat the infested rooms, what level of prep needs to be done: do all closets, drawers, etc. need to be cleared out prior to treatment? Also, would this form of treatment be all that I would need, or would I still have to use other methods in conjunction with heating the room? Yes, you'll need to empty and open drawers, cupboards, etc to ensure adequate heatup and circulation throughout the room. You'll want to follow up by encasing and intercepting the bed(s) and applying residual sprays that are labeled for the surfaces in the room.